Yay! So Sir thinks it is time to collar me. So we looked at tons of collared and agreed upon the above picture. We ordered it today from Ring of Steel (www.ringofsteel.net). I am very excited. I will wear this collar 24/7. I will have a key for emergency purposes only. But I am expected to wear it all the time. 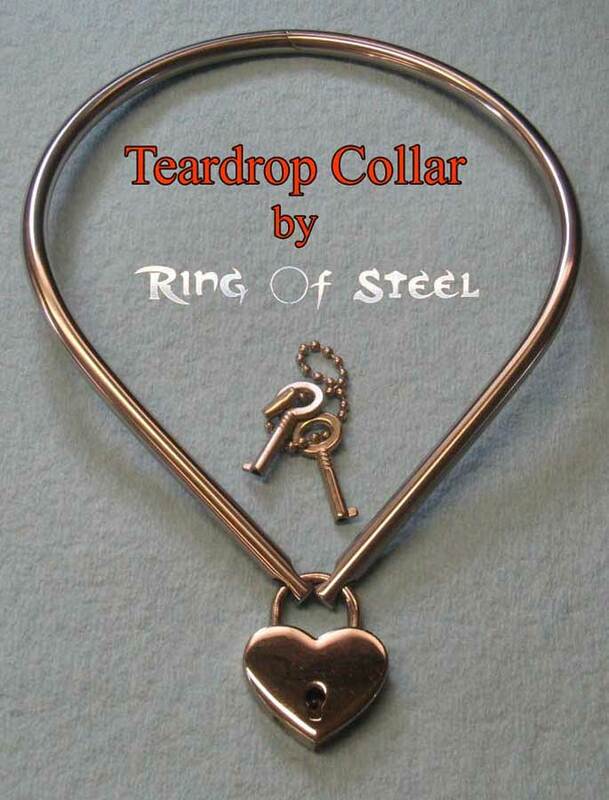 Collaring is a very important thing in the D/s relationship. It signifies the Dominants ownership of his submissive. Very much like a wedding band symbolizes the union of two people. We are very excited to come to this step in our relationship and I am very honored to wear Sir’s collar. I will be on pins on needles until it gets here. Sending my best wishes for your continued journey. It is truly beautiful. Thank You so much! I cant wait until its on my neck!!! Thank You! Im super excited!! That is awesome! Being collared is the best! Oh no!! Then I will wear it for both of us my friend!!! It’s ok it’s just unlikely it will go there with my Sir as I’m not his primary. But i am ok with that, my needs are being met and who knows what the future holds 🙂 you just wear that collar proudly 🙂 you deserve it!